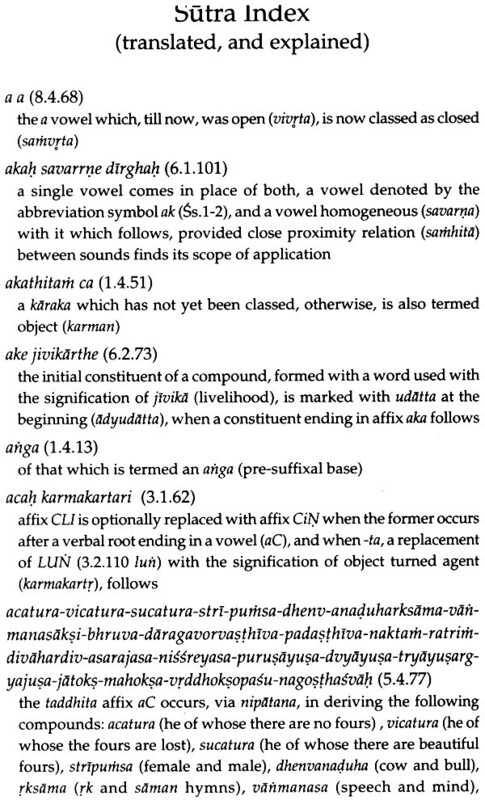 The Sanskrit Tradition of Grammar and Linguistics, along with its history, is presented in view of texts and trends, where structure and content of the Astadhyayi find their focus on rule formulation, interpretation, and interaction. 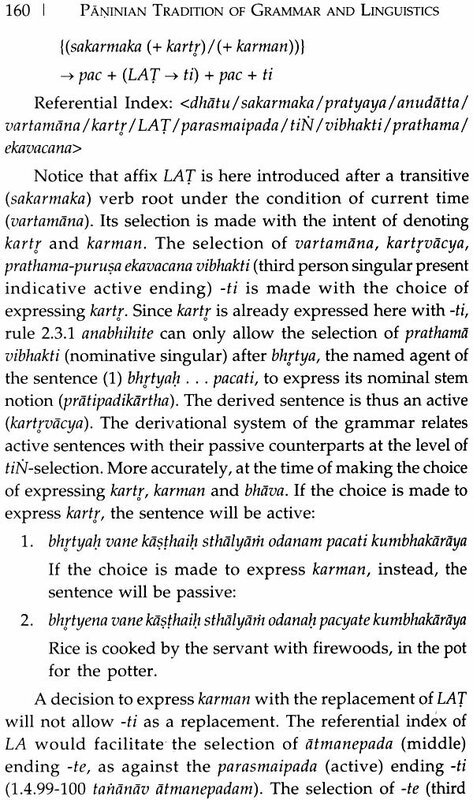 My proposal of derivation is made in view of what Panini does (acarya-pravrtti) with rules of the Astadhyayi, and what statements (vyakhyana) were made on a given topic by Patanjali. My presentation is all tied in with the interpretive conventions # (2) yathoddesah samjna- paribhasam, and # (3) karyakalam samjna-paribhasam (PS) of Nagesa. 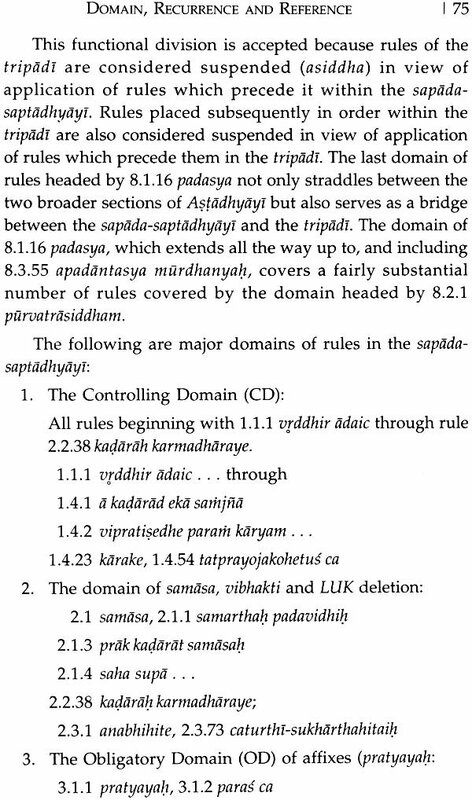 It yields two kinds of ekavakyata considerations where one facilitates interpretation of a rule within adhikakars, and the other facilitates ekavakyata across domains, with no anuvrrtti consideration. Finally the derivational history yields a string of definitions which not only offer direction to individual derivations but also projects what rules will apply when and on what kind of string. Why does Panini repeat the use of definition terms in the Astadhyayi, so that they can clearly chart the path of derivation, and facilitate reconstruction of history of derivation? This all is new, and is in consonance with the tradition. The last section of this book presents a comprehensive view of modern studies on Panini to modern times. 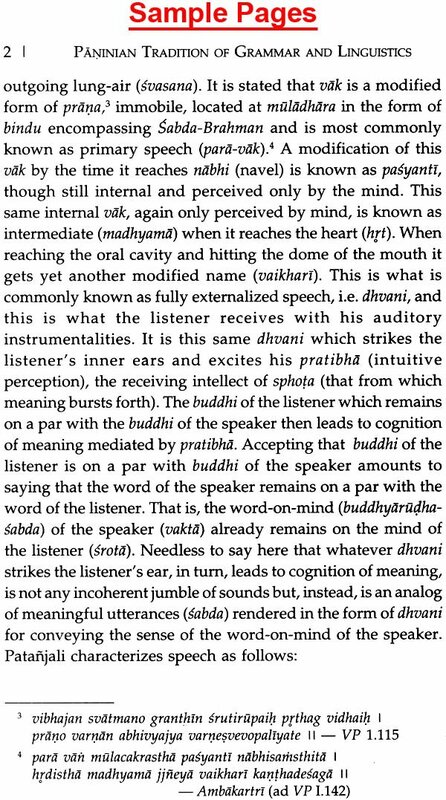 Rama Nath Sharma was born (1939) in a family of traditional Sanskrit scholars. 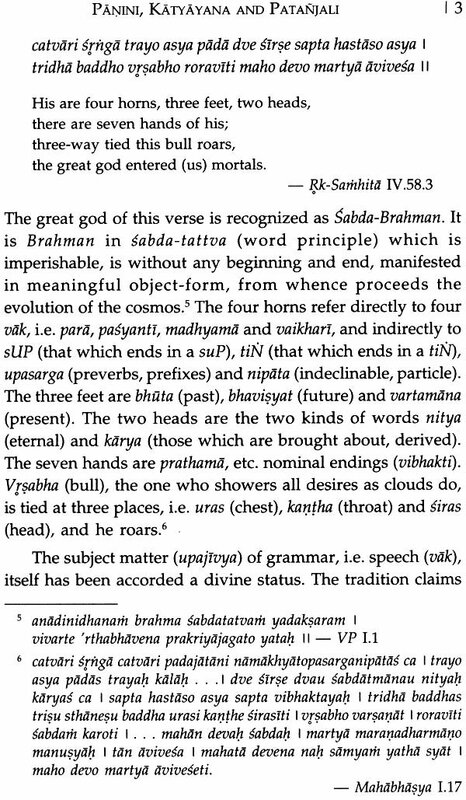 He studied Sanskrit from his father Padmashree Pandit Raghunath Sharma, the author of the commentary Ambakartri on the Vakyapadiyam of Bhartrhari. After doing MA in Hindi Literature and MA in General Linguistics, he taught Linguistics at the University of Allahabad during 1962- 66. He earned his PhD (1971) in General Linguistics from the University of Rochester, New York, and also taught Linguistics there (1971-76). He joined the faculty of University of Hawaii at Manoa, Honolulu, Hawaii (1976). He also served as the Chairman of South Asian Studies and became Professor in 1987, and also was Chairman of the Department of Hawaiian and Indo-Pacific Languages (1997-2000). Prof. Sharma is an internationally recognized scholar of Sanskrit, with expertise in Panini's Sanskrit grammar, the Astadhyayi 5th century BCE. 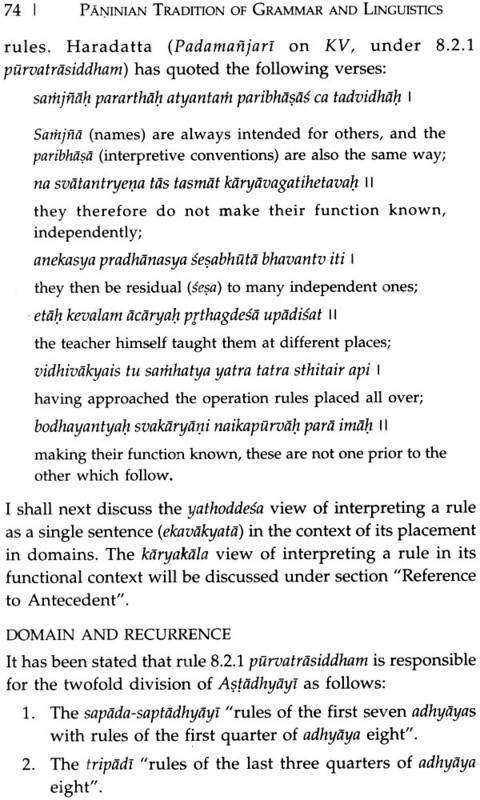 He published a six-volume translation study of the Astadhyayi (1987-2003), and a five-volume study on the Kasikavrtti of Vamana and Jayaditya (in print with D.K. Printworld, 2017). I AM happy to introduce this book to a much wider audience of scholars and students. The content of this book was published in 2010 as a paper under the title, "Paninian Tradition of Grammar and Linguistics". I am thankful to the Centre for Studies in Civilizations, New Delhi, for their permission to publish the paper, as a book. Mr Susheel Mittal of D.K. Printworld deserves thanks for accepting the book for publication. I have, under agreement with the History Project, not made any changes in the content of the paper, except for addition of two indices: abbreviations, and Index of Sutras, with English translation. I have updated the bibliography, and of course, have corrected some errors, including those of spelling. I have made the dedication of this book to my teacher, Dr Ashok R. Kelkar, who taught me Linguistics at Poona (Summer, 1960), and the K.M. Institute of Hindi Studies and Linguistics, Agra University (1960-62). 1. It offered a detailed view of ekavakyata, especially as Patanjali alludes to it in the Mahabhasya. 2. It not only clearly explains the yathoddesa and karyakala views of rule interpretation, and application, it also clearly showed how the yathoddesa samskaras of a rule are carried over to operation rules for their interpretation, in the karyakala view. This directly relates to functioning of rules in the karyakala view. 3. This paper for the first time shows how definitional terms directly strings to their domain of rule application. These three together present a unified theory of derivation, again not found discussed in this detail anywhere else. I have used this paper for making many workshops, papers, and other presentations. These all were well received, but I have always felt a need for a comprehensive book on the lines of the paper with more topics covered, and with in-depth treatment of derivation. 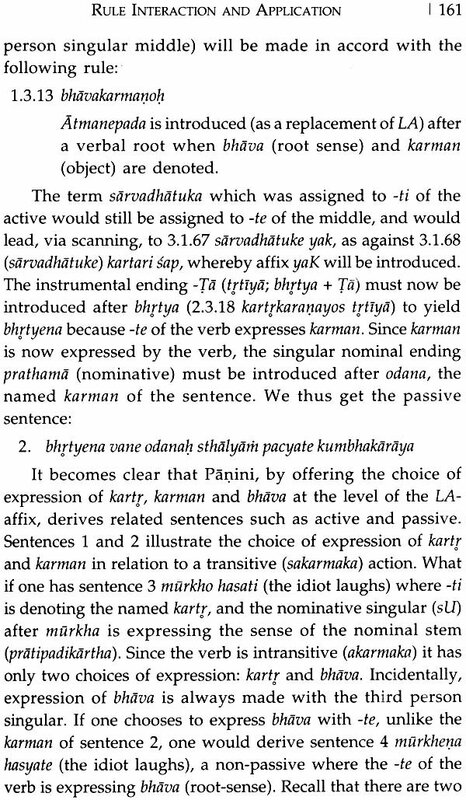 Now that I have completed the publication of both my six-volume English translation study of the Astadhyayi (Munshiram, 1987- 2003), and five-volume English translation, study of the Kasikavrtti of Vamana-Jayaditya (D.K. Printworld, 2016), in addition to dozens of major papers, I can now focus on writing such a comprehensive book with necessary details. Prof. Radhavallabh Tripathi, former Vice-Chancellor of the Rashtriya Sanskrit Sansthan, Dr Dipti Tripathi of the Sanskrit Department of University of Delhi, Dr Balram Shukla of University of Delhi, Dr Amba Kulkarni of the University of Hyderabad, and my friend David Ellis Rogers, formerly of Georgia Tech, and Kansas College, have made substantial comments on the paper. They all have praised the content but they have also expressed the need for many details which could further enhance the understanding of my reader. I appreciate their comments, and shall try to further elaborate these ideas with more illustrations. 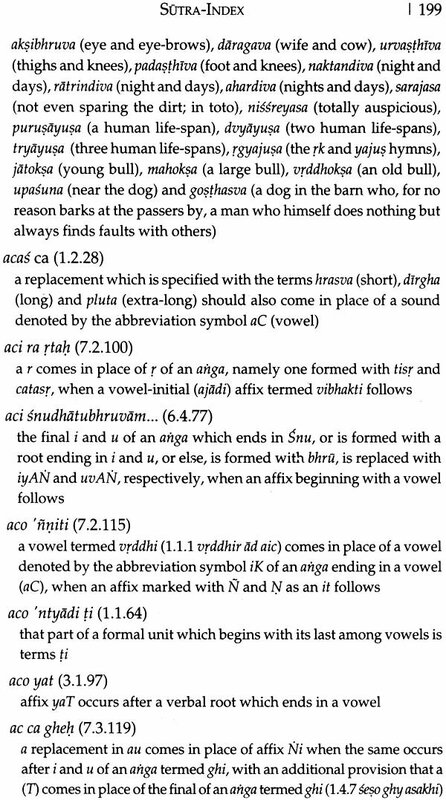 I thank Mr Christopher Bopp for preparing the electronic draft of my Paper in 2006, sifting through umpteen numbers of drafts, and wrestling with hosts of special symbols, both in Sanskrit and in English.